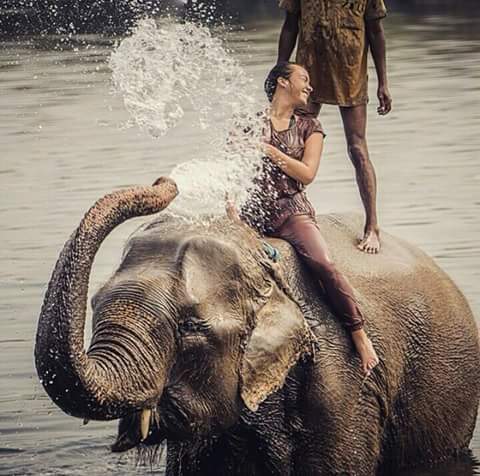 Jungle safari in Nepal is one another the most amazing trips in Nepal, as it is rich country of an exceptional biodiversity and a beautiful natural environment. The tropical jungles of the Terai preserve some of the best wildlife habitat in the subcontinent. The outdoor adventure sports into the wilderness to see wild animals, birds and natural beauty. You ride on an elephant’s back or on a four wheeler jeep accompanied by a fully trained guide (naturalist) to view the nature and animals. From a tourist point of view, Chitwan and Bardia are the most popular National park for wildlife safari in Nepal. Chitwan is Nepal’s most popular National park offering excellent opportunity to see Royal Bengal Tiger, one horned rhino, crocodile and thrilling wilderness experience into it’s deep and thick jungle. Bardia is Nepal’s second most popular National parks offering excellent jungle safari. Ride on an elephant’s back or on four wheeler will lead you to path where you can discover some rare natural habitats. Most jungle safari consists of canoe rides on the jungle rivers nature walks, birds watching excursions and quick tours around the villages to discover unique culture and traditions of the local village people.